As the supply chain of cannabis matures, the segment least likely to see price suppression will be brands. Brands successful in the most challenging states are more than likely to transfer that success to nascent states rolling into adult-use (full rec). Ionic Brands has several of the most successful cannabis brands in the Northwest, with economies of scale and proven operations. As more states introduce full recreational laws proven operators with great brands will have a key advantage for winning shelf space. Ionic Brands also an interesting coffee patent for CBD that could create massive cash flow for shareholders. As of late, The Deep Dive has focused on two key concepts when it comes to analyzing the cannabis sector. The first, undoubtedly, is that of branding. Like any other sector, branding is key to performing well over the long term. Do you want a cola soda, or do you want a Coke? Do you need a tissue, or are you in need of a Kleenex? When it comes to cannabis, the sector is no different in this regard. Unfortunately, this is also where most Canadian licensed producers are lacking, and thus why we believe they will have a negligible impact within the US marketplace. Canadian brands simply are not strong enough to compete in the US market. The second concept that we have placed a focus on is the success the company has seen in terms of marketshare, particularly in mature states where cannabis has been legal for a period of time. In this respect, we look at the states of Washington, Oregon, and Colorado, with a growing focus on the states of Nevada and California as well. The theory here is simple. If a cannabis entity can find success in a state with growing market saturation and fragmentation, then they should be able to easily replicate that success in emerging markets within the US. 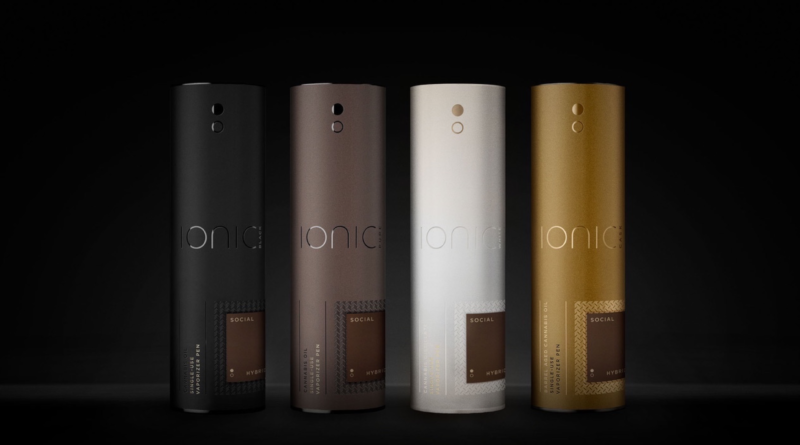 One firm that ticks both of these boxes, is that of Ionic Brands, a Washington based operation focused on the luxury vaporizer segment of the cannabis sector. Founded in 2012, Ionic has spent the last seven years developing the number one vape brand within the state. Now, it has morphed into a multi state operator that has revenue projections of US$48.6mm for 2019, double the system wide revenue it did in 2018 of US$21mm. While the Ionic Premium Vape Pens brand is present in Washington, Oregon, and California, Ionic Brands has a handful of acquisitions in waiting that will increase the firms footprint to a total of six states over the course of 2019. At the time of writing, Ionic Brands currently has active operations that spread across three states – Washington, Oregon, and California. With Washington as its home base, it has since expanded into these two other markets to capture market share and to increase its brand awareness. Ionic has established itself within Washington as an experienced luxury cannabis concentrates brand. Selling both disposable and reusable vape pens, the Ionic brand currently has shelf presence within 337 out of 516 dispensaries within its home state. Currently, it is the largest oil manufacturer within the state as well as the number one vape brand. With the flagship brand having launched in 2015, Ionic has seen steady revenue growth year over year. Growing from US$2.3mm in 2016, to that of US$9.9mm in 2018 in Washington state alone, there has been consistently steady growth for the Ionic brand. With the recently entered Oregon and California markets, total revenue for Ionic Premium Vape Pens reached US$10.5mm in 2018. In addition to the Ionic line of products, Ionic Brands has several acquisition targets that it is currently in negotiations with. These targets span several states and will compliment the current operation by expanding reach as well as providing vertical integration within certain markets. 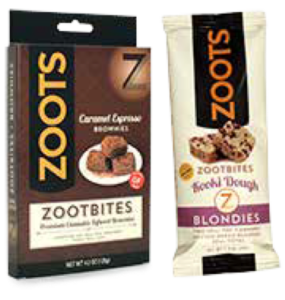 As another Washington based operation, Zoots is a premium edibles company with operations in two states. With it’s processor license under the company name DB3, the firm has been in operation since 2014 producing hand crafted edibles in a small batch format to ensure premium quality. With revenue projections of US$6mm in 2019, Zoots is heavily focused on brand expansion across both the Washington and Colorado markets. Additionally, it has targeted a number of states including Massachusetts, New York, California, and Florida for entry in 2019. Although this acquisition has not officially closed, Dan Devlin, co-founder of DB3, is listed on the Ionic Brands website as being Interim COO of the company. Thus, it appears its only a matter of time before the acquisition is announced as being complete, expanding Ionic’s reach to include that of Colorado as well. Total consideration for Ionic’s acquisition of Zoots is pegged at US$11 million, US$600k of which is cash with the remainder being in the form of shares. The acquisition of WW Agriculture (WWAG) will bring valuable vertical integration to its Washington operations. Founded in 2014 and located in Spokane County, WWAG consists of 140 acres of outdoor cultivation of cannabis. Currently operating on a sub $0.10 per gram cost basis, the addition of the entity to the Ionic Brands portfolio will reduce input costs for the firm by an astounding 80%. The on site production of cannabis flower will be used to exclusively to derive crude oil for the purpose of concentrates, and presumably, edibles. This will thereby vertically integrate the operations under the Ionic banner within the state and secure consistent, quality cannabis for processing into concentrates. The acquisition of WWAG will be the pilot project for Ionic in terms of vertical integration to determine whether cultivation assets are valuable to the overall business plan. It’s presumed that further vertical integration will occur within other markets should the pilot project work well. Total consideration for WW Agriculture is US$2.75mm, with US$750,000 being in the form of shares. The remaining US$2.0mm is to be paid via earn-out conditions over the course of two years. While on the topic of vertical integration, lets take a look at the Nevada based assets that Ionic Brands currently has a definitive agreement to purchase. Vegas Valley Growers is a revenue generating operation, posting US$2.56mm in sales for 2018, on positive EBITDA of $600k. Currently licensed for cultivation, volatile and non-volatile extraction, as well as distribution, VVG is fully integrated within the Nevada market space, with a market penetration rate of 80%. Their products are currently produced within a 1,700 square foot facility within Las Vegas. However, construction is underway on a 70,000 sq ft manufacturing facility that is expected to be complete in June, in addition to a second 65,000 sq ft facility that is to be completed in the second half of the year. 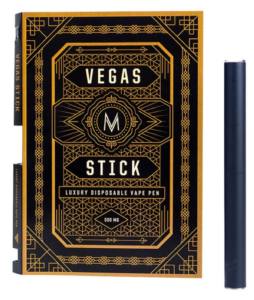 Also focused on the vaporizer market segment, Vegas Valley’s primary brand is the “M” branded disposable luxury vape pen. Upon acquisition, the firm will also be responsible for producing and marketing Ionic branded vape pens within Nevada. This is expected to increase overall market share within the state, in addition to increasing revenue figures. The value of Vegas Valley Growers is pegged at CAD$22.8mm, with CAD$1.65mm being in the form of cash. The remainder is to be paid in company stock upon closing. The final known acquisition within the Ionic Brands pipeline is that of Vuber Tech, a Washington based hardware company focused on rechargeable vaporizers. The firm is focused on developing premium vaporizers for the cannabis market, and currently has several already on the market. In addition to the hardware, Ionic will also acquire 11 provisional patents through Vuber Tech. Revenue generating, the firm has anticipated revenues of US$8mm in 2019, with EBITDA of US$720k. Consideration for the acquisition of Vuber Tech comes in at US$12.5mm, with US$2.5mm being in the form of cash and the remainder in the form of Ionic stock. It was recently announced that Ionic Brands has acquired two cannabis-infused coffee patents from that of Canna Cafe. Formally, this brings Ionic deep into the cannabis-infused beverage market. Specifically, the two patents relate to the infusion of CO2, ethanol, and heat extraction derived THC and CBD into coffee products, including espressos and teas. This includes both traditional coffee, as well as K-Cup coffee products for single-serving applications, in both residential and commercial operations. The patents, applicable only in the US, are filed under numbers 62/037,827 and 15/837,623, are among the first cannabis related patents filed within the US. The full patents can be found via Justia, and are located here and here. Note that they are filed by Imbue LLC, the parent company of Canna Cafe. Related claims covered under the patents can be found at the bottom of the page. With a history in technology companies, Gorst has experience in building companies to valuations in excess of $600mm. As one of the largest early investors in Ionic, he came on board to assist in taking the company public and to execute a strong growth strategy to propel the company from a single state operator to that of a multi state operator. Versed in the world of business acquisitions and M&A negotiations, Schell is one of the original founders of Ionic. His prior experience includes founding and running a DoD organization that specialized in military operations. After expanding into five states, he made his exit in 2014 to assist in the development of Ionic Brands within Washington state. With over three decades of experience in the world of marketing, Struzan has a portfolio chock full of recognizable brands. Prior work includes Fight Club, the Star Wars franchise, and American Idol among others. His experience and expertise spans electronic, mobile, and print mediums within the marketing space, setting him apart from many of his peers. Previously working as a director of sales for a California wine company, Stange personally oversaw the development and growth of sales to the tune of US$250mm. Holding roles in management and sales, he has since transitioned to the role of Chief Revenue Officer for Ionic, responsible for the growth of sales across all markets. Another co-founder of Ionic, Salas served in the role of VP of Sales for the first five years of the company, resulting in Ionic becoming the number one vaporizer within the state of Washington. In addition to sales, Salas has held roles in support of supply chain, product development, marketing, HR, and tech. The final co-founder of Ionic, Gorst has been involved since the formulation of Ionic. Working part time in the early years, he transitioned to a full time role in 2015 with the advent of a recreational market in Washington. He has since taken on the role of developing the brand within the state of Oregon, where he serves as the general manager for Ionic Brands. Both a CFA and attorney, Manson is invaluable to the Ionic team. Currently a managing member at a real estate investment firm, Manson has experience in dealing with cannabis companies in addition to beverage organizations, both of which are integral to Ionic’s business plan. Acting as Chief Science Officer for Ionic Brands is Zach Bell, a PhD from Queen Mary University of London. With studies focused in the area of cortical gene regulation, Bell has experience in both research and project management which will prove valuable to Ionic. A graduate from Harvard Business School, Devlin brings to the table four decades of experience in business management, finance and consumer products. His most recent endeavour, Db3 Inc, is the company behind the Zoots brand of products which Ionic Brands is in the process of acquiring. At the time of writing, Ionic Brands currently has 108,436,715 shares outstanding. Of this, 331,995 are related to the vehicle in which Ionic performed a reverse transaction to become a listed issuer. The remainder come from pre-RTO Ionic shareholders. In addition to these shares currently outstanding, there are 19,726,580 warrants currently outstanding for Ionic, as per the listing summary filed on March 26, 2019. These shares have a price range, as seen in the snippet below from the aforementioned listing summary. On a fully diluted basis, this brings the total share count to 128,163,295. Note that this does not include any pending acquisition. It should be noted however, that of the currently outstanding shares, 41.3% are held by insiders, with CEO John Gorst holding the largest position at 16,829,641 shares and 2,408,000 warrants. In total, Gorst accounts for 15.5% of the outstanding share count. Andrew Schell, Chief Strategy Officer for Ionic Brands, also holds 16,132,521 shares and 2,408,000 warrants, or 14.9% of the company. It should also be indicated that 44,281,087 (40.8%) shares and 10,640,000 (53.9%) warrants are subject to escrow provisions, under which 10% are released following the RTO transaction, 40% are released four months after the transaction, and the remainder are released eight months after the RTO transaction.